Japanese poet Kokan Shiren called the miniature world of bonsai a “poetry that would lighten your heart.” The practice of bonsai began in Japan at around 7th century CE. Slowly this became a national obsession. Some of the 17th century bonsais survive to this day and is exhibited in the Tokyo Imperial Palace. The practice of bonsai like miniature trees and full fledged garden began even earlier than this. Chinese penjing or penzai, signifying “tray scenery” or “tray plant” was a part of floral altar decorations since 1st century CE approximately. 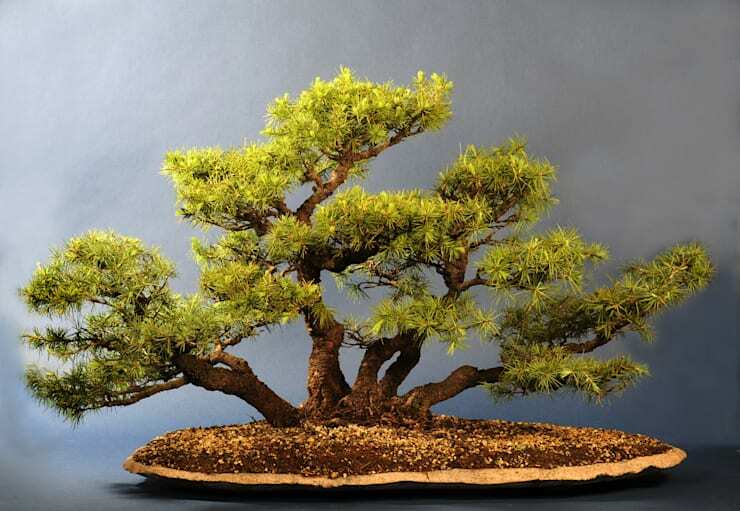 While each region has its own way of creating a bonsai, certain plants like pine, cherry, banyan, cypress and plum appear frequently in these miniature landscape grown by different schools of bonsai stylists. Bonsai has long crossed the borders of China and Japan and is worshipped worldwide now for its unique beauty. If you are a newbie willing to grow your first bonsai garden and decorate your home with nature’s unceasing bounty then this guide will be helpful for you. There are two ways of having a bonsai tree in your home – cultivating it from the seed stage or having a tree at pre-bonsai stage. In either case, you need to choose a tree that can withstand the environment of your region. 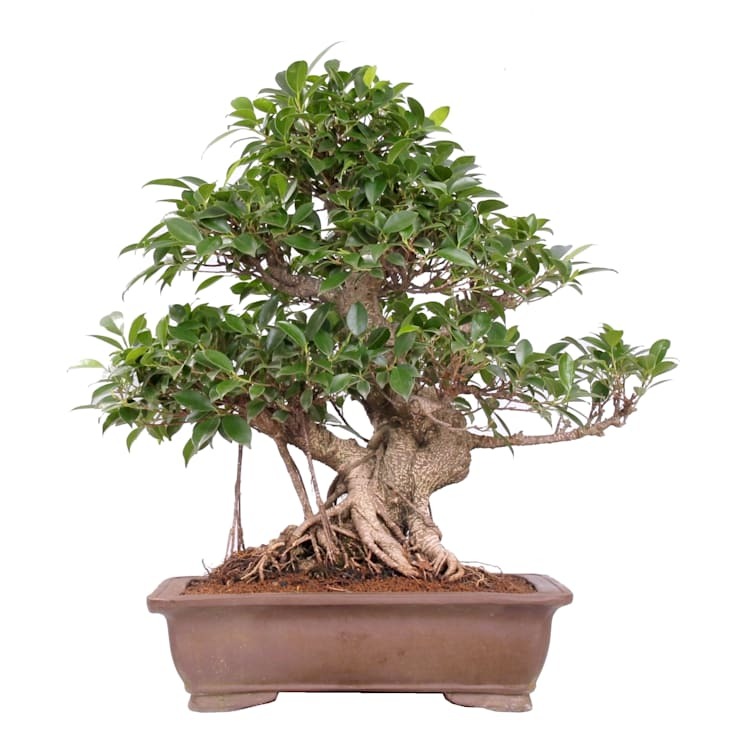 Following trees are considered perfect for beginners growing their first bonsai indoors – Schefflera arboricola, ficus, jade, Brazilian raintree and Fukien tea. As you may have noticed that almost all of these are tropical or sub-tropical trees. They are considered sturdier and more suitable for an apprentice. 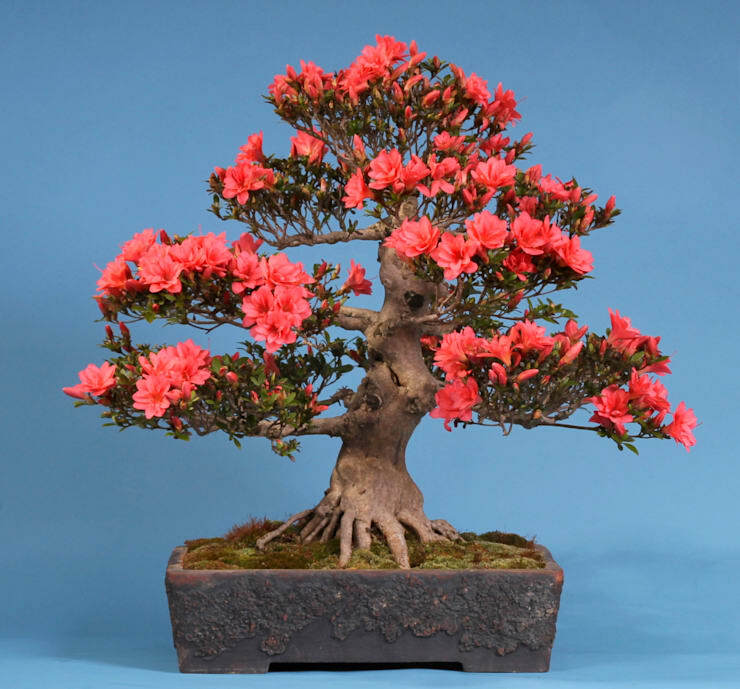 Your outdoor bonsai garden may, on the other hand, have a charming collection of junipers, elm, bougainvillea and azalea among other types of bonsais. A word of caution here – the art of bonsai requires years of practicing, so be patient. Bonsais require appropriate soil to thrive. Japanese akadama soil is suitable for the deciduous varieties. Kanuma, on the other hand, is great for trees that love acidic soil like azaleas. Kureyu is considered appropriate for conifers. All of these soil types contain varying quantities of grit, loam and organic elements. Clay granules heated in extremely high temperature forms a part of loam. It is a constant feature of any of these soil types. Organic mixtures include pine bark, leaf molds etc. Once you get hold of the basics you can vary the amount according to the necessities of different plant species. Growing bonsai from the seeds proves to be quite challenging for the beginners, but it has its rewards. It is a more affordable option for growing rarer species and in time may result in massive collections. Sometimes bonsai needs to be grown by grafting method. It is similar to the technique applied for any other plants where the scion of a parent plant is attached with a rootstock placed in a bonsai pot. You can get rid off this step altogether by choosing a plant at pre-bonsai stage. - Make sure you are selecting a healthy plant. Damaged leaves, rot in any parts of the tree or misshapen tree indicate that the plant is anything but healthy. - Select a subject with a heavier trunk and tapered branches. Trees with pole like trunks to not grow up to become a “quality” bonsai. - Try to have one with lots of branches. 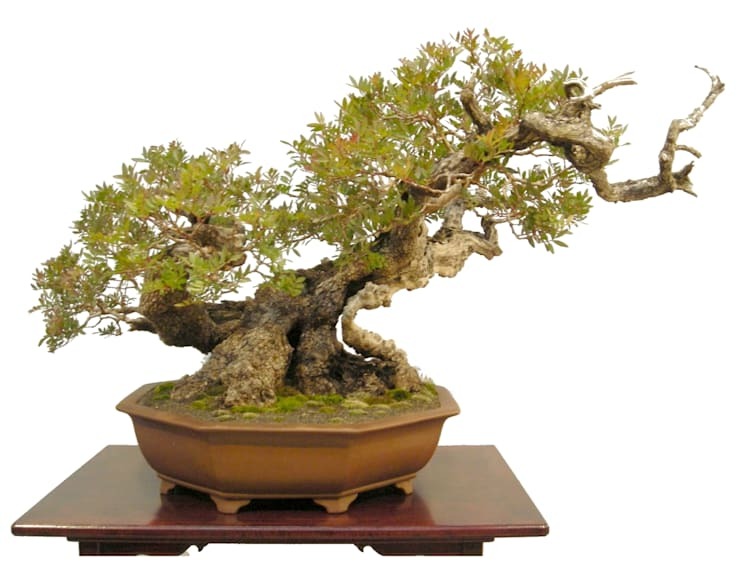 - Bonsais with flared roots or “nebari” are highly prized. - A proportionate tree with right size and amounts of leaves and flowers is very important. 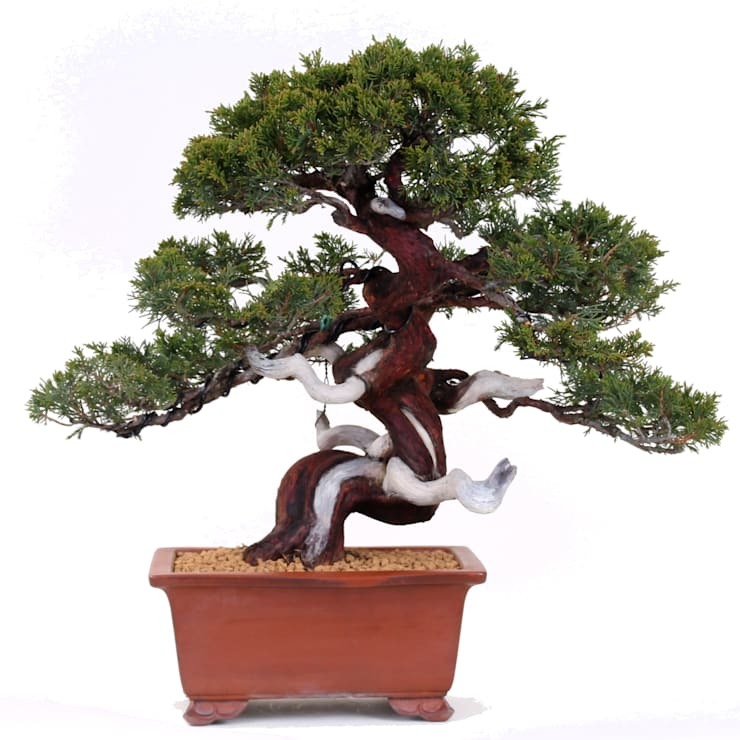 - Tachiki is an informal and upright style suitable for the first time bonsai growers. - With branches swept on one side, fukinagashi resembles a windswept tree. Bonsai enthusiasts will have fun time creating these. - Kengai forms a cascade of branches with the first swerving below the pot. - Bankan’s twisted style resembles Chinese penzai and is often compared with coiling dragon. - Soju boasts of two trunks wedded together. Yose shows a group planting of 3, 5, 7 or 9 trunks. Bonsai wiring helps to bend the trunk and its branches to an impressive shape. It is an artist’s tool and when used correctly produces remarkable results. Both copper and aluminium wire can be used for bonsai wiring. When wiring the entire tree, you must begin with the longest branch. Otherwise, you shall start from the first one before moving on to the next. Wiring should be done in specific seasons only, like a pine tree is best wired in autumn. Check for the signs of any cracks or splits regularly. Make sure you are wiring only a healthy plant. Pruning includes selective removal of roots, branches, leaves and buds. Before deciding to remove any of the parts, give a long hard look. You can even contemplate on its ideal structure for a few days before getting to work on it. Any branch of unattractive shapes, crossings and tangled ones can be pruned. Before doing so, check if they can be wired in attractive and manageable shapes. Leaf pruning is generally done for deciduous trees. Bud pruning or pinching helps to develop small branches and leaves. Only the apical buds are pruned. Bonsais should be watered most diligently. Water a little to increase the absorbing capabilities of the soil and then soak the soil entirely. Let the water completely drain out before watering further. Indoor bonsais require sufficient humidity, particularly, in dry winter months. Placing them on a humidity tray decorated with beautiful pebbles will ensure the plant’s well being. Use fertilisers meant for bonsais and only after watering the plant. All bonsais require repotting after about two years. The exact timing depends on the species. 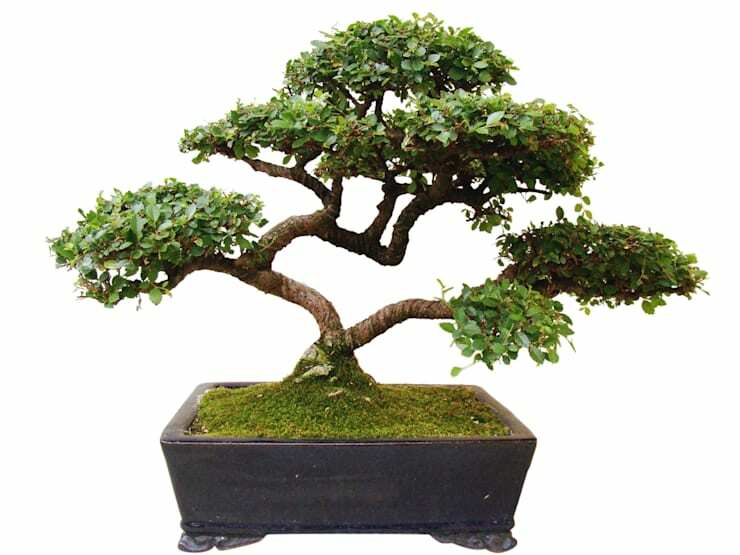 Like all normal trees, bonsais suffer from the attack of pests and diseases. Changing bonsai’s location, introducing biological controls like ladybugs and spraying extremely mild solutions of liquid dish soap in lukewarm water may help in controlling pests. If the problem seems to be persistent seek expert advice. Meanwhile, you will pick up precious lessons of growing healthy and attractive bonsais for your garden or indoors.